After a year of rising unemployment, ONS data shows the number out of work has fallen by 35,000. But is it enough to reverse the trend? The number of people out of work fell by 35,000 to 2.65m between December and February - the first drop recorded since last spring. This meant the unemployment rate edged down from a 12-year high of 8.4% to 8.3%. But the drop came at a price. Figures from the Office for National Statistics showed a rise of 89,000 in the number of people working part-time because they couldn’t find full-time jobs. This brings the total working part-time to 1.4m, the highest figure since records began in 1992. And there was bad news for the long-term unemployed. 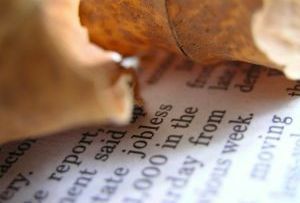 The number of people out of work for more than a year jumped 26,000 to 883,000, the worst total since 1996. Meanwhile the number of people claiming jobseekers’ allowance rose by 3,600 in March to 1.61m, the 17th month of increases in a row. So while the headline jobless fall is some positive news, the ONS says long-term unemployment and the rise in part-time workers are still areas for concern. It also warns we shouldn’t look at the latest figure in isolation. Compared to the same time a year ago, unemployment is up by 170,000. Another figure for concern is the high level of youth unemployment. The number of 16-24 year olds looking for work dipped by 9,000 over the three months, but their troubles are far from over. Some 1.03m are still jobless, and the unemployment rate for the age group is proportionately high at 22.2%. - MT’s report on the graduate job market will be in the May edition of the magazine, on sale Monday 30th April.